As members of our World, Nation and Community we believe that charitable giving is very important. We also are aware that there are numerous con artists and frauds posing as charities simply for the purpose of getting your money. We feel that it is important to make sure that the people to whom we give our charitable dollars are legitimate. There are several very good sources for learning more about charities and determining the scams and cons such as Charity Navigator. Feed the Children - delivers food, medicine, clothing and other necessities to individuals, children and families who lack these essentials due to famine, war, poverty, or natural disaster. The Salvation Army - delivers disaster relief, engages in drug and alcohol rehabilitation, prisoner rehabilitation, fights against human trafficking, runs youth camps, provides services to the elderly and shut ins in communities throughout our nation and the world. 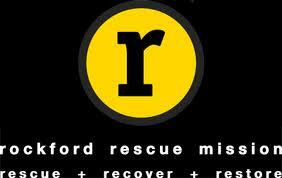 Rockford Rescue Mission - was founded in 1964 and has been open 7 days a week, 365 days a year ever since we first opened our doors. We are the largest homeless shelter in Northern Illinois as well as a state certified recovery home for those struggling with long-term addictions. Northern Illinois Food Bank - has a mission is to provide nutritious food to all those in need through our own efforts and those of our non-profit partners. The Northern Illinois Food Bank serves 13 counties covering nearly 7,000 square miles and was awarded 2010 food bank of the year. Rockford Park District – City of Gardens – is a program designed to beautify the City of Rockford through public plantings, encouraging commercial businesses to beautify their grounds, creating neighborhood gardens in blighted areas and a hanging basket program just to mention a few of their projects. Klehm Arboretum & Botanic Garden – is a not-for-profit organization established in 1989, provides botanical education for the region. Sharing enthusiasm for all plants – flowers, grasses, shrubs, trees, gardens and their environments – members strive to continue the botanical legacy begun here in the early 1900’s. In partnership with the Winnebago County Forest Preserve District, the members are working to preserve, restore and enhance Klehm Arboretum & Botanic Garden. Anderson Japanese Gardens - desires to be a resource to the people of our region. It is a world class botanical garden that is considered one of the most authentic gardens of its type anywhere. In our hectic and stressful world, Anderson Japanese Gardens opens minds to a different culture while offering guests a place of peace and tranquility where they will find healing, renewal, inspiration, and a re-energized soul. Christian Freedom International - Brings humanitarian aid to the persecuted Christian Church through the use of Bibles, medicine, food and hope. Kids Around the World - began in 1994 their goal at that time was to provide safe play equipment for children that found themselves in situations where it was difficult to just be a "kid". So often children find themselves as victims of situations out of their control, they become victims of economic stress, victims of political injustice, victims of natural disasters and worst of all, victims of war. It was for these children that Kids Around the World began. The American Cancer Society – is a nationwide, community-based voluntary health organization helping persons who face cancer, supporting research, patient services, early detection, treatment and education, and dedicated to eliminating cancer as a major health problem. Illinois Family Institute – is dedicated to upholding and re-affirming marriage, family, life and liberty in Illinois working to advance public policy initiatives consistent with Judeo-Christian teachings and traditions, educating citizens so that they can better influence their local communities and the state. Special Olympics - Special Olympics is a global nonprofit organization of passionate, committed individuals from every walk of life, who recognize and targeting the nearly 200 million people round the world who have intellectual disabilities. American Heart Association – their mission is to build healthier lives, free of cardiovascular diseases and stroke. Institute for Christian Apologetics - Mount Carmel Outreach - earnestly contending for the faith by giving a reasoned defense for what we believe to be true.